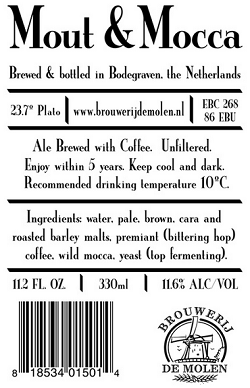 Mout & Mocca is especially brewed for lovers of both coffee and imperial stout. Rich and full, sweet and roasted. A perfect beer to finish your diner with. Translates to English as Malt & Mocha.